The last hurrah? Michael Jordan just seems to get better with age, and after leading the Chicago Bulls to 72 and 69 wins in the previous two seasons while capturing numerous individual awards, Michael at age 34-35 was as good as any other. Other NBA players are usually well into their decline at that age, but Mike not only stayed afloat, he was the buoy that kept the entire league above water with his exciting play. Leading the Chicago Bulls to a 62-win season and capturing his sixth NBA Championship (while earning the MVP trifecta), Michael Jordan capped off a legendary Bulls career going out on top – again. 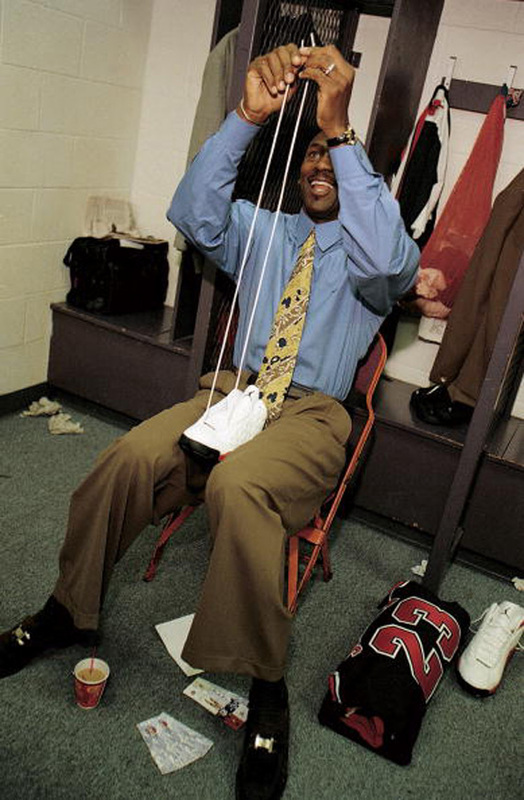 But the 1997-98 NBA season was a milestone era for Michael off the court as well, as Jordan Brand branched off from Nike and became its own independent brand. The Air Jordan XIII was once again designed by Tinker Hatfield, who used the black panther as the inspiration behind the design. It was an alarmingly serendipitous circumstance because just two years prior to the Air Jordan XIII’s creation, Michael earned the nickname ‘Black Cat’. Call it coincidence – we’ll call it the the unification of two great minds. Alongside the Air Jordan XIII were Jordan Brand’s first non-Legacy designs under the Team Jordan umbrella. Jordan Brand also brought on its first team of NBA athletes, which included Ray Allen, Vin Baker, Michael Finley, Derek Anderson, Eddie Jones, and more. The highlight of the marketing campaign for the Air Jordan XIII was of Michael Jordan the ‘CEO’, as the net worth of his name and everything tied to it was valued at over $10 billion. So what colorways did Michael exactly wear? For the regular season, he wore the White/Black and White/Red for Home and Away, and introduced a Black/White rendition for the 1998 NBA All-Star Game. 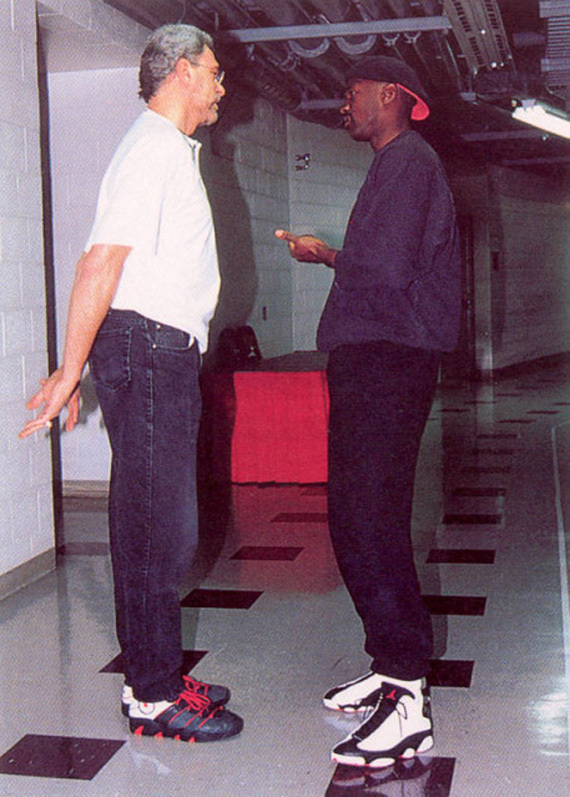 He would later wear that colorway during the 1998 NBA Playoffs, rotating them with the Black/Red as well as low-top PEs. In 2004, the Air Jordan XIII was re-issued in a number of colorways new and old, and again in 2010/2011. In 2010, the Air Jordan XIII was the third selection of the Jordan Brand Bin 23 Collection, a colorway that featured earthy brown and red tones. 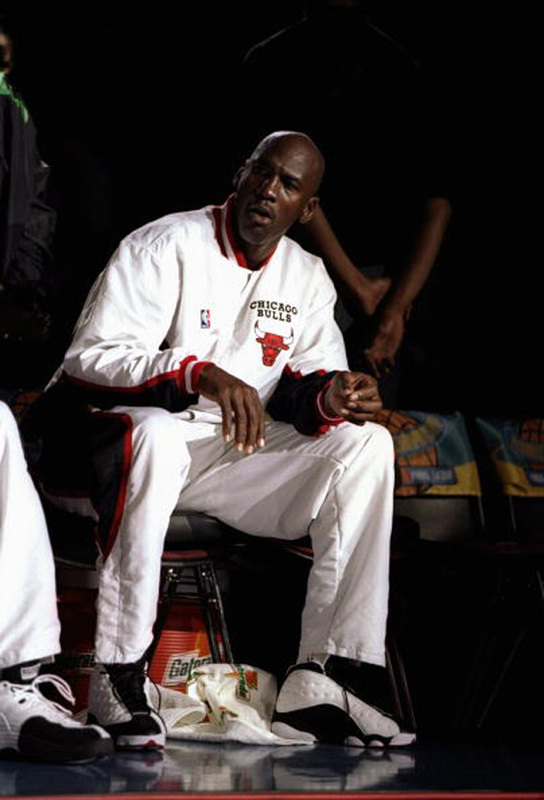 The Air Jordan XIII is considered as a favorite by many Jordan fans, but the 1997-98 NBA Season will be remembered for two different Air Jordan shoes. The first being the Air Jordan 1, which Michael wore during his last game at Madison Square Garden, and the second being an all-new design for his last game as a Chicago Bull. 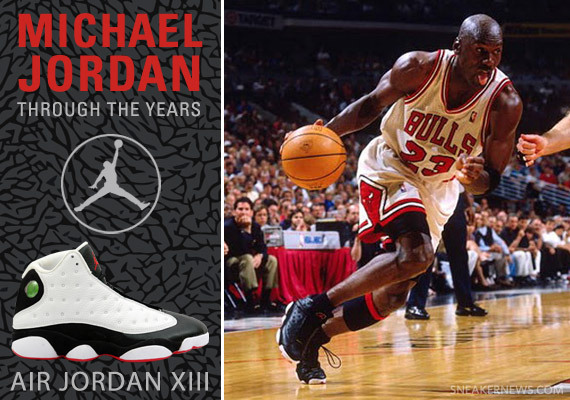 Continue reading for a complete visual recap of Michael Jordan and the Air Jordan XIII and stay tuned to Sneaker News for the next installment of Michael Jordan Through The Years.